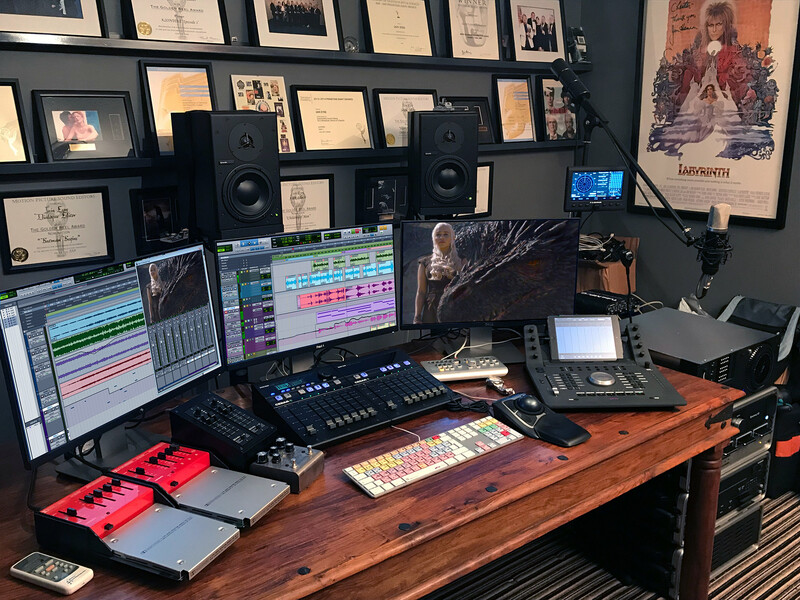 When it comes to a BAFTA and twice Primetime Emmy Award Winner, not to mention three time Motion Picture Sound Editors, USA winner choosing his supplier for a new Avid HDX system, dialogue editor Iain Eyre knows precisely who to call. 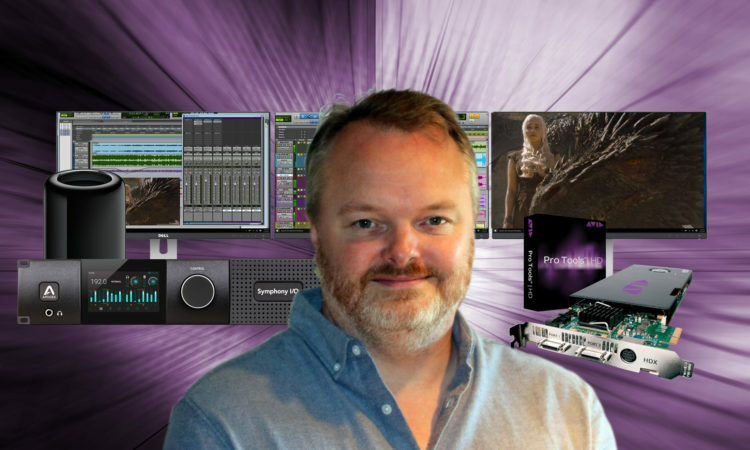 With countless TV and Film credits to his name (Batman Begins, United 93, Children of Men, The Chronicles of Narnia: Prince Caspian, Ashes to Ashes, Game of Thrones, Mad Dogs, Assassin’s Creed) to name but a few, Iain chose ESV to advise on a new Pro Tools HD configuration that would best suit his needs. Upgrading from a Pro Tools HD2 Accel system running on a 2012 Mac Pro, Iain had a pretty good idea of what he wanted but he just needed to check that he was up to speed with his list of gear and was not overlooking anything that he may not have been aware of. Avid HD I/O or Apogee Symphony I/O MkII? Initially, Iain was just going to go with an Avid HD I/O series interface to replace his existing Digidesign 192 but being the huge Apogee fans that we are here at ESV, Richard (Eastwood) suggested that he go with an Apogee Symphony I/O Mk II instead of, and specifically, the Pro Tools | HD platform version (not Thunderbolt) for connecting to an HD Native or HDX system of which one Symphony I/O Mk II unit connected to each HD port can provide up to 32×32 I/O per unit. With its intuitive touchscreen, Future-proof modularity and legendary sound quality, the Apogee Symphony I/O Mk II is a firm favourite of the ESV team when it comes to high-end audio interfaces delivering near zero latency audio. Iain loved the idea of this system and decided to add an additional 8×8 Analog I/O + 8×8 AES/Optical I/O (Mk II) module thus making his audio interface a 16 analog in, 16 analog out, 16×16 AES/Optical I/I interface. Mac Pro, 3.0GHz 8-core versus 2.7GHz 12-core? Despite Iain being quite willing to spend an additional £900 on a 12-core over an 8-core, we really felt that that was an unnecessary expense given the HDX card was doing all of the processing and that he wasn’t rendering huge video files. And when it came to expanding the RAM from 16GB to 64GB we went with Crucial RAM saving a further £500. Iain also wanted a rack-mounting solution and so we recommended a Sonnet xMac Pro Server which not only houses the Mac Pro but also has three full length PCIe slots for further expansion should Iain wish to upgrade to an HDX2 or HDX3 in the future. Add a Sonnet Mac Pro Migration module (3 x 3.5-inch SATA drives) and Iain’s storage solution together with a Blackmagic Design Multidock with 4x Samsung 850 PRO SSD drives leaves nothing to chance. new products – coming soon! © 2009-2018 Eastwood (Sound and Vision) Ltd. All Rights Reserved.